Since we deal with sublimation, and are becoming known as rather knowledgeable in that field, and since we also create and sell screen print transfers, we often get calls from people looking for garment decoration options. Sometimes they want to know how a particular garment they’ve seen or been asked to duplicate was decorated. Other times they’re simply looking for the most cost effective or easiest way to decorate a garment. We once did a post that compared ChromaBlast to other cotton decoration techniques, but I don’t believe we’ve ever covered the differences between sublimation and other techniques. I thought I’d correct that today. 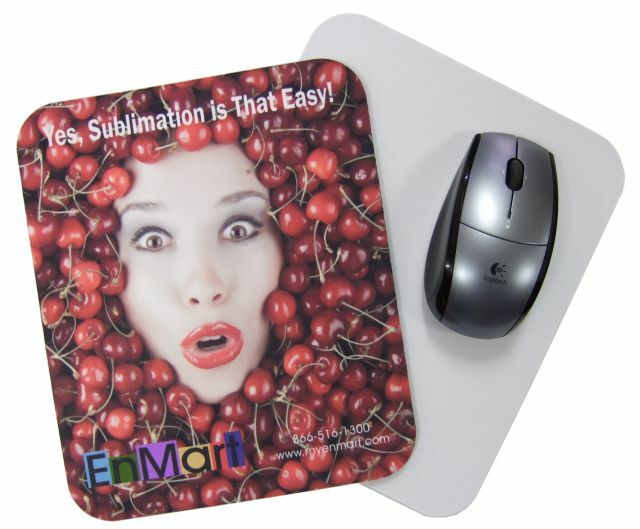 Let’s start with the one we deal with most often, sublimation. This type of decoration can be used on 100% polyester garments, and can also be used on mugs, mousepads, booksmarks and a variety of other items. The only requirement is that the item be either 100% polyester material or be 100% poly coated. The sublimation process bonds the ink to the garment or the coating, so there is no hand. The print literally becomes a part of the substrate. Sublimation works only with light colored garments or items, and cannot be used to create white images or for printing on dark colors. In order to create a sublimation transfer, you need a printer for which sublimation cartridges or inks are made, sublimation ink, and sublimation paper. Next we’ll look at direct to garment printing. Like sublimation, direct to garment printing requires a special printer and special ink. As the name implies, direct to garment printing is done directly to the garment, there are no transfers. Direct to garment printers tend to be more expensive than sublimation printers, and there may be more of a learning curve when it comes to learning how to use the printer. Some direct to garment printers can be used to print white and create prints on dark colors. These printers are, generally, on the higher end of the price scale. Direct to garment prints must be cured with a heat press, and will have a bit more hand than a sublimation print. Finally, let’s consider screenprint transfers. These transfers are created from screen print ink, and are sealed to the garment with a heat press. There is a distinct hand to a screen print transfer. These types of transfers are often used for the names and numbers on sports uniforms. Because they are transfers, they can be made in any color and used on any color fabric. They can also be heat sealed to any type of fabric, the only requirement is that the fabric you’re using can stand up to the heat of a press. Screen print transfers can be custom created or, in the case of things like numbers or letters can be purchased from stock.